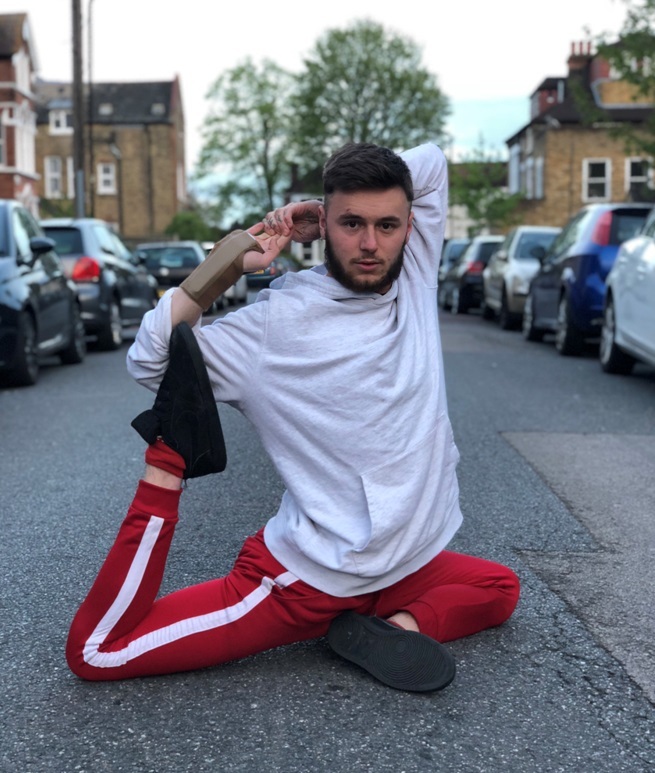 My name is Max Munro and I am a 22-year-old yoga teacher certified in power yoga, Tapasya hot yoga, Budokon, Broga, animal locomotion, and arm balance and inversions. I am also a REPs 3 personal trainer. My yoga journey started in 2012 when I was 16 years old. I achieved my first certification aged 17 and two months, becoming the youngest certified Budokon yoga teacher in the world. After returning home to the UK from the US, I began my yoga teaching career in 2013 and was featured in OM Yoga Magazine. I re-located to London four years later where I taught a dozen classes each week and planed to increase that number to further establish my career. My hopes and plans changed dramatically on the 11th February 2018 when I had a life changing injury. I fell from a balcony, landing on my head and receiving a traumatic brain injury (TBI). My injury was in the top 20% of the most serious and I required a life saving operation. 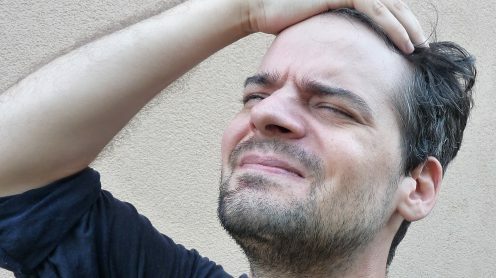 I had a bleed on the brain at the point of impact, which required 16 staples down the right side of my head after surgery. I had a second bleed on the opposite side of my head to the impact site and severance between the two brain halves. Additionally, I had a displaced C7 and C2 vertebra, ligament and tendon damage to my right hand, a fractured eye socket, and other minor facial fractures. I was unconscious for 11 hours and suffered post operative amnesia for 12 days after the injury. 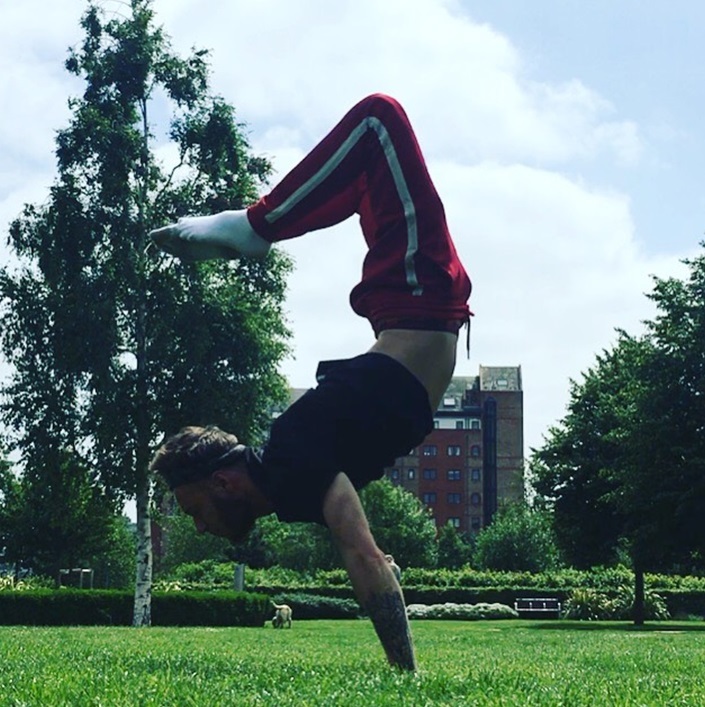 After a few days of physiotherapy and a wobbly start to proceedings, I began my arm balance and inversions training. I had been performing at a high level prior to my accident so I was soon standing on a balance ball on one leg while having balls thrown at me, with the balls getting smaller and smaller each time. I only dropped one ball at my first attempt but I saw that things were not as they once were. I knew I would require endless patience in order to make as full a recovery as possible. My consultant said this could take up to two years. During my seven weeks in hospital I was over-loaded with information about things I could no longer do. No alcohol for a year, no extreme sports, no parkour, no contact sports (I loved martial arts), no getting over-tired (this can be very dangerous after a brain injury due to the susceptibility to seizures), and no driving for a year - I found this news devastating. I also had issues with my memory, some of which may remain with me indefinitely due to the severity of my injury. However, I have not felt depressed or suffered with mood swings, which can be common symptoms after a brain injury. In fact, I am just grateful to be alive. I can speak normally, I have no impairment with muscle movement, and the outcome could have been very different. I saw that many of the other patients recovering on my ward were struggling mentally and physically, which I found hugely upsetting as they were mostly youngsters of a similar age to me. This brings me on to my main point: Did yoga save my life? Well, it certainly helped in several ways. Firstly, my consultants have described my recovery as remarkable, especially the speed at which is has happened after sustaining such a traumatic injury. This may be due in part to my high level of fitness from a young age. However, according to my consultant and clinical psychologist, the part of my brain that was damaged (dealing with speech, logic and memory) has been aided by another part of my brain, which they believe is compensating for the injuries. It is also their belief that the combined mind and body attributes of a sustained yoga practice are playing a significant role in my recovery. As I move onward with my life and yoga journey, I feel humbled, thankful, and perhaps even a better version of my former self. After leaving hospital I attended several yoga classes and taught part of a class just two weeks after my discharge. Just 10 weeks after my injury, I taught my first full class and felt exhilarated. I have been given a second chance with my life, and will tread a more thoughtful path in future. I hope to persuade young people, men in particular, that yoga can transform lives in so many ways and that it may even help save your life! I pray those young people in hospital with similar injuries to me, but very different outcomes, recover as fully as possible in the process of time. I would like to express my sincerest and deep felt thanks to the surgeon who saved my life, the paramedics, consultants, doctors, therapists, nurses, cooks, cleaners, porters, family, friends and well wishers, many of whom were unknown to me, that have helped me so caringly since my life changing injury. Support Max in this year's British 10K! 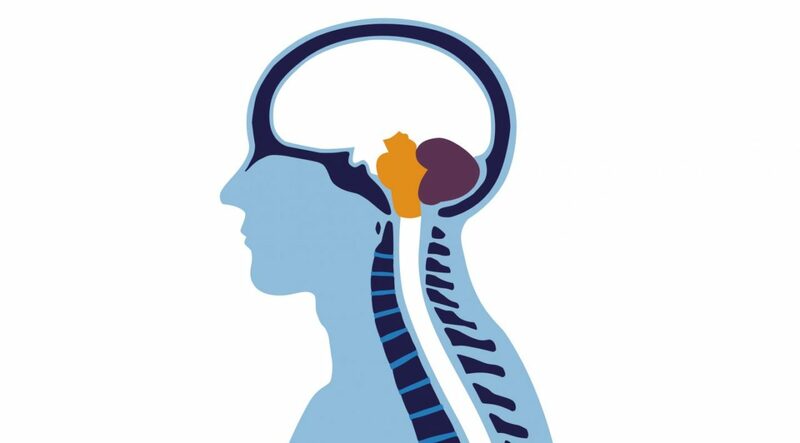 Read or download our booklet that provides information on head injury and concussion in adults.